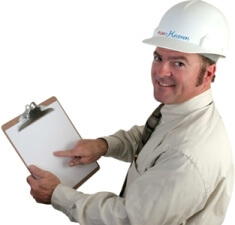 With Full Setup, one of our trained inspectors will visit your site and inspect all of your development's building elements, common property and infrastructure and write up a description and condition assessment of each. He will also create a list of recommended jobs and their cost, a funding cashflow table and include everything else that makes your plan a fully compliant, high quality document. But the big advantage of a Plan Heaven plan, is that it will be setup in an awesome online tool that's a breeze to update and manage. Choose this option when you are new to Plan Heaven and need your plan set up for the first time. But if you have a small development with not much maintenance going on, check out the Account Access Only option. It's just the ticket for you to prepare and manage a fully compliant DIY plan. Update options are only available in the second or subsequent years after your plan has been initially set up in Plan Heaven. Choose the Site Visit Update option when you would like us to update your plan in any year and that update is to include another site visit by one of our trained inspectors. With this option, our inspector will review and update all jobs and job costs based on new observations, updated costings, work carried out over the past year and any changes to the plan requested by the body corporate.. However, if not much has changed and you would like to reduce the cost of your update, you could consider one of the other two update options . Choose this option when you want to update your plan in any year but the update doesn't warrant another site inspection. From our desk, we will review and update all jobs and job costs based on updated costings and information provided by the body corporate. This will include work carried out over the past year, any proposed new jobs and rescheduling of jobs from year to year. This is an option that allows you to have a fully updated plan at a reduced cost because you current plan only needs a few tweaks and the Plan Heaven app is a breeze to update. Choose this option if you don't want to update your plan in any one year. Alternatively you can update it yourself, by sitting down with the your committee and working out the changes you want to make, then logging in to your Plan Heaven account and following the online tutorials. This option can also be chosen in the first year by any body corporate that would like to set up their plan themselves in Plan Heaven and operate their account on a full DIY basis. Plan Heaven has been designed to be intuitive for DIY'ers to use and we're also only an email or phone call away if you need help. The body corporate can also close their account at any time and no further fees will apply.